In the forthcoming Gilbane research report, Enterprise Search Markets and Applications Capitalizing on Emerging Demand, I describe several distinctly different scenarios for search applications. The variety of search products underscores innovative approaches to applying search and diversity of needs. 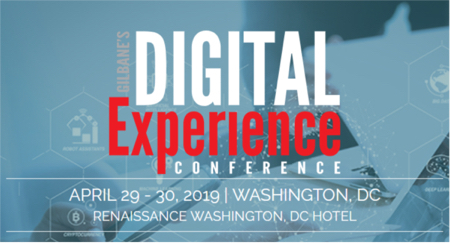 The Enterprise Search track at the upcoming Gilbane Conference in San Francisco will feature numerous examples of why and how search is being applied across small, medium and very large domains of enterprise content. Hearing from those experienced in implementing and deploying search solutions will inform you when positioning your search “must haves” as you narrow possible options. Our first group panel will feature two consultants and a solutions provider each with a perspective on aligning the search problem you are trying to solve with a business case and the type of product being offered. As moderator, I will be looking for examples from speakers that will resonate with the audience to provide a connection between what has been demonstrated as valuable and workable, and what conference-goers are seeking. These sessions are about matching experience with investigation and creating an environment for exchanging information and allowing inquiry and research to flourish. Much has been made of the rise of “social” technologies in the past year, but technology is only a tool. Any meeting gathering with product exhibits facilitates your first-hand viewing of technology and the vendors offering products. But more important, are the professional social connections that give flesh and realism to the application of technology. If you set out to ask just one question of each speaker you meet or fellow attendee, make it one that will help you build a realistic picture around a product you are considering to meet a need. For example, ask not about whether product “A” can perform function “XYZ” but what it took in terms of human resources to deliver that terrific interface that the speaker is showcasing. Social networking gives you that opportunity. Professional conferences are learning opportunities and, compared to today’s college tuition costs, a great bargain. Also, educational institutions are relatively limited, exposing you to controlled scenarios or short-term experiences. What you gain at meetings like the Gilbane conferences is opportunity to benefit from long-term experiences in real business situations by asking those who have been there and done that, how it came about, got built and what the demonstrable outcomes are. A look at these topics for session EST-2 shows how our speakers will frame their experiences: Venkat Rangan, CTO, Clearwell Systems, Search and Information Retrieval Needs for eDiscovery; Randy Woods, Executive VP, Non-linear Creations, Best Practices for Tuning Enterprise Search; Sam Mefford, Enterprise Search Practice Lead, Avalon Consulting, Beyond Silos: Changing ‘Hide and Seek’ to ‘Index and Find.’ I’m always looking for new perspectives on search and ways of helping my clients understand their options. This will enrich my own learning experiences, as well.